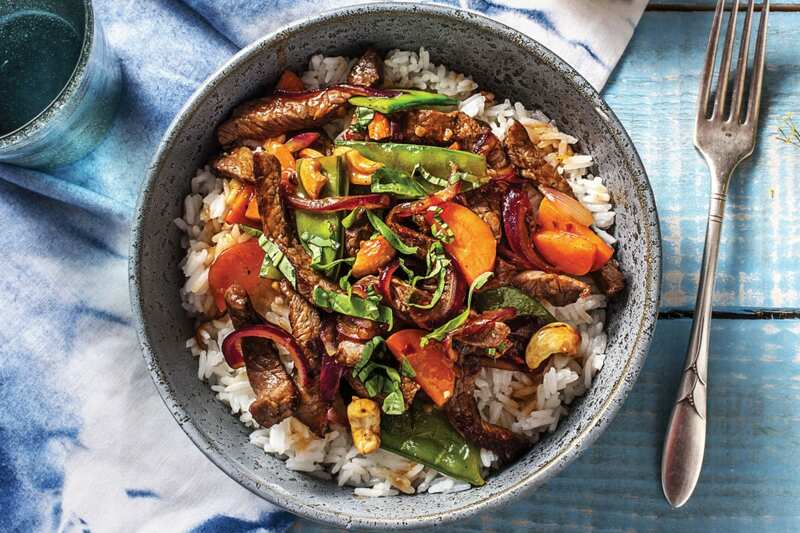 This fast Thai-style meal gets its flavour from aromatic basil and a sweet and savoury mix of sweet chilli, soy and vinegar. 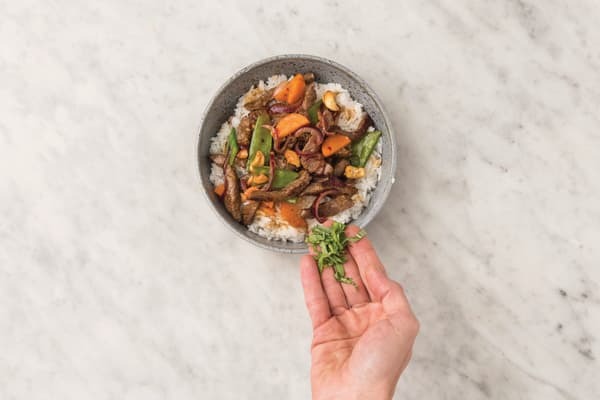 With hearty cashews and fluffy jasmine rice, this is a delicious combination just waiting for you to dive in! Each week, we search the country to source the best produce, with a focus on seasonality, quality, and variety. This week's snow peas were not up to our quality standards so we've replaced them with broccoli. Don't worry, the recipe will be just as delicious! While the rice is cooking, thinly slice the red onion. Thinly slice the carrot (unpeeled) into half-moons. Finely chop the garlic (or use a garlic press). 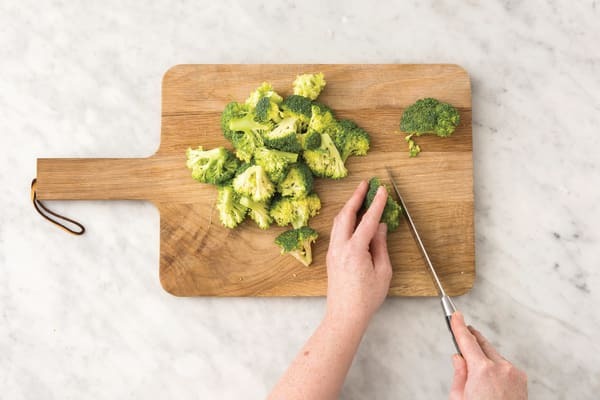 Cut the broccoli into small florets and roughly chop the stalk. Pick the basil leaves and thinly slice. In a small bowl, combine the sweet chilli sauce, soy sauce and rice wine vinegar. 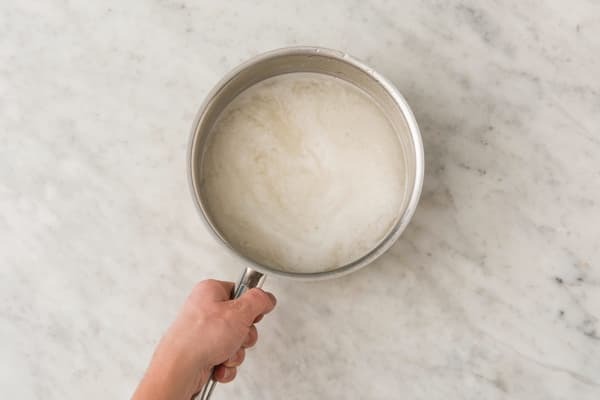 When the rice has 10 minutes cook time remaining, heat a drizzle of olive oil in a large frying pan over a high heat. 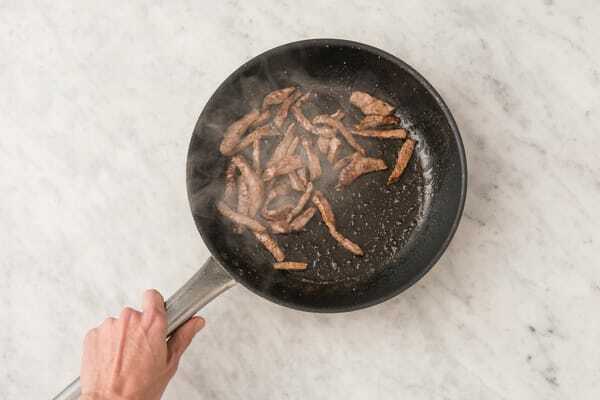 When the oil is hot, add 1/2 the beef strips and season with salt and pepper. Cook for 1-2 minutes, or until browned and cooked through. Transfer to a plate. Repeat with remaining beef strips. TIP: Cooking the meat in batches over a high heat allows it to brown and develop flavour and keeps it tender. 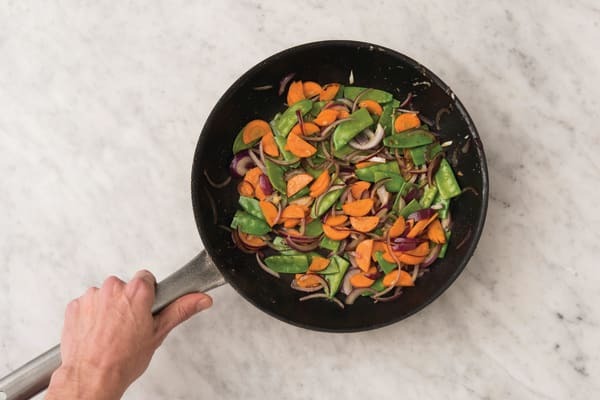 Return the frying pan to a medium-high heat with a drizzle of olive oil. Add the broccoli and a splash of water and cook for 5-6 minutes or until tender. Add the red onion and carrot and cook for 3-4 minutes or until softened. Add the garlic and cook, stirring, for 1 minute, or until fragrant. 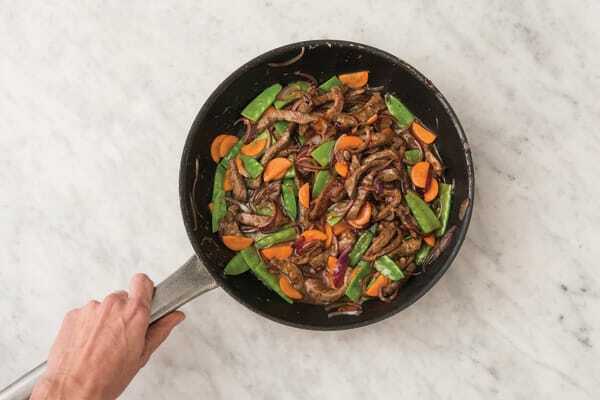 Divide the jasmine rice between bowls, top with the Thai beef stir-fry and garnish with the basil.